Now, more than 120 years later, that same idea resonates in cartoonist Edward Laroche’s new intergalactic military epic, The Warning, colored with moody grit by Brad Simpson and lettered by Jaymes Reed. The aliens do indeed invade, but Laroche roots this story of unending violence in humanity. The new ongoing comic revolves around super soldier Joshua and his team of technologically (and genetically) enhanced warriors who investigate a bizarre alien incursion after an inexplicable bastion materializes in Burbank, California. 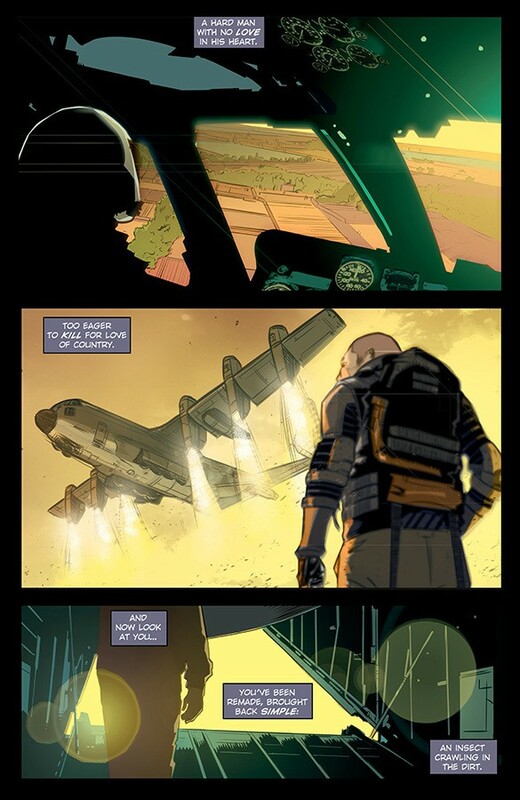 While action abounds—including a gorgeous aerial dogfight in the second issue—The Warning takes its time, burning slow; Laroche is more interested in using the alien invasion as a backdrop for a series of character studies rather than pure visceral thrills. Joshua faces an existential crisis. He’s been reading about reincarnation, obsessed with the idea of a karmic balance. Even as his unit readies itself for an assault on these invaders, Joshua wonders where his role as an agent of perpetual violence leaves his karma. Joshua’s uncertainty about his own role in an ongoing conflict—that also leaves his own physiology altered, as the military embraces transhumanism—deepens with the air of mystery surrounding their invaders. Even the idea of an invasion only unfolds as a potential answer to the looming weirdness at the end of the first issue. The impact of the invasion is seen throughout the series, but the aliens themselves are largely an unseen menace. The Warning is a story where every nuance of the writing and art puts together a holistic portrait of Joshua and his traumatized world. Like the poetic, Terrence Malick-like narration in the comic, Laroche’s answers can be cryptic and high-concept while simultaneously true. Being both the writer and artist isn’t a matter of freedom or a point of pride for Laroche, but an approach that would only work to solidify the uncompromising tone and direction of The Warning. Laroche isolates panels in a sea of darkness, letting each visual absorb the energy from the austere layout. It’s a direct and powerful effect that makes each panel feel significant and adds a sense of weight and isolation. The Warning was initially black and white, but Laroche says he was convinced to bring on a colorist. Brad Simpson’s restrained hues fill the book with an earthen, industrial palette and subtle touches that add to the cinematic tension. 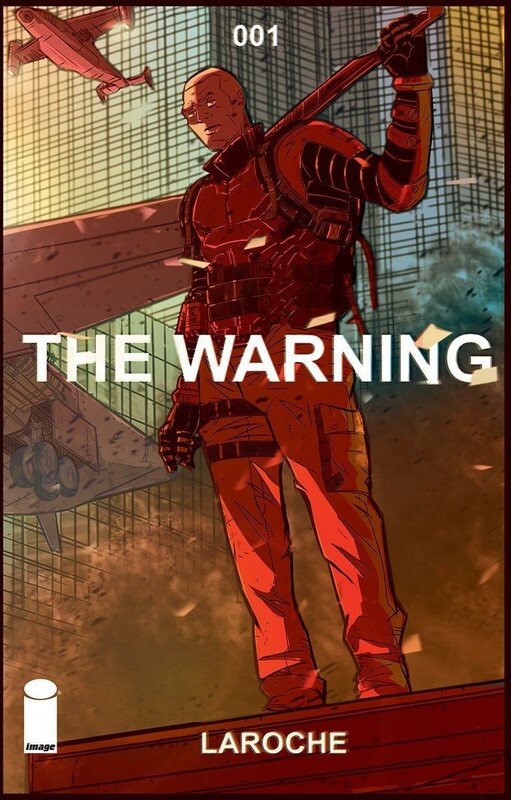 The Warning #1 releases in comic book stores on November 28, 2018. The unseen threat is always scarier, so it helps to add tension. Plus, getting to the aliens is its own experience, and when they show up, you may wish they hadn’t.